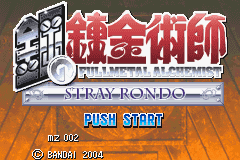 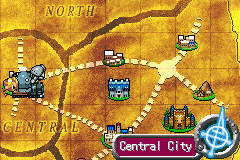 Hagane no Renkinjutsushi: Meisou no Rinbukyoku is a role playing game for the Game Boy Advance. 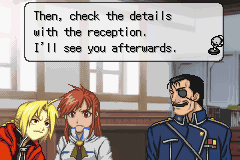 The game is based on a Japanese comics and cartoon called Full Metal Alchemist. 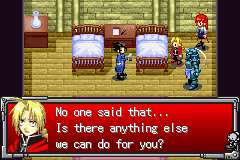 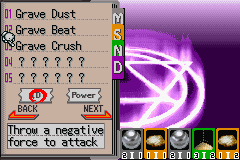 Full English translation for the first Fullmetal Alchemist game on the GBA.